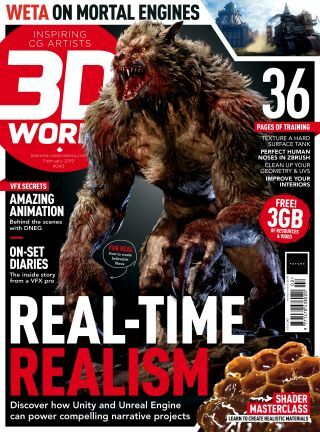 Here you'll find all the files, resources and videos to accompany issue 243 of 3D World magazine. To download the accompanying files for 3D World issue 243, simply click the link below each article and a zip file will automatically download the content to your Mac or PC. If you've missed this issue or other editions of 3D World, order a copy. This guide will take you through the process of creating realistic honey, from modelling the comb to creating believable shader networks for ultimate photorealistic renders. Learn to use Houdini's new terrain toolset. This tutorial will take you, step by step, through the process of using Houdini's new terrain tools, to create detailed and realistic terrain geometry. Following on from last issue, where we showed you how to sculpt a tank, this issue we complete the scene building and show you how to use VR tools to texture your objects.